You can succeed at your own pace and at your terms. You do not have to be a marathon runner to succeed in life. You must have the courage to move forward as success in life is not final and failure in life is not fatal. You will fail so many times but do not give up until you succeed. If you do not make your own design, you will fall in the trap of copying and pasting other people’s designs. 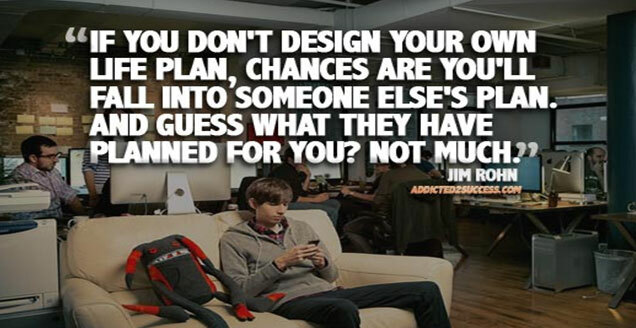 It is impossible to succeed in life if you are using other people’s dreams and designs. You must have your own. The solutions of yesterday may not help us to solve problems of today because we live in a dynamic environment. Once you have made a decision to succeed in life and you have adjusted your mindset to that effect , no one can stop you from succeeding. Therefore success or failure in life is your personal choice.